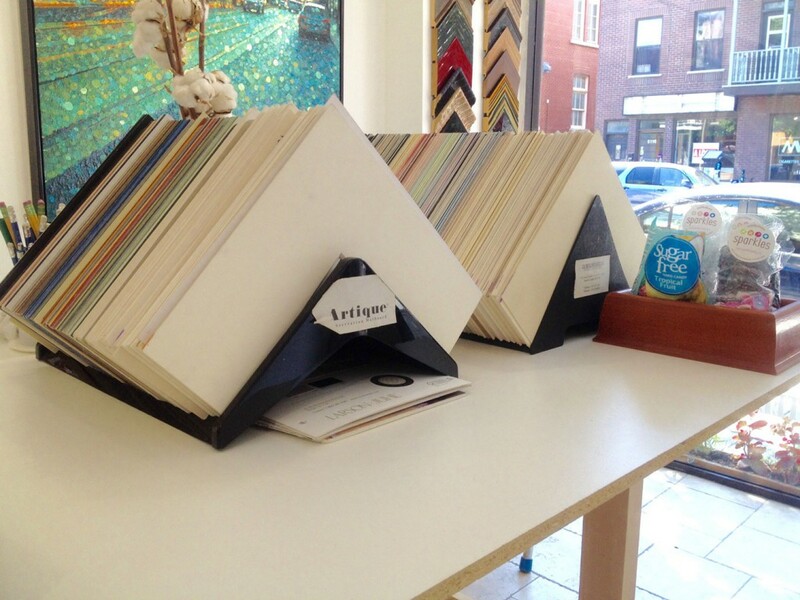 There are all sorts of ways to frame something, and a wide range of materials to choose from. At Cadres Superieurs we are dedicated to framing your piece in such a way so as to enjoy it for many years to come. We often re-frame pieces that have been framed many years ago, and when we open up the frame and find brown cardboard backing, masking tape and paper mats, we cry. These sorts of materials are absolutely full of acid, and are toxic to your artwork, causing it to yellow and fade. We use only 100% acid-free materials, which are made from cotton. We mount your artwork using only conservation-grade, pH neutral tapes. We believe that if you are going to make the investment in framing your artwork, family photo or collectors item, you should be using the best materials available to help to preserve the value and physical integrity of your treasure for the future.